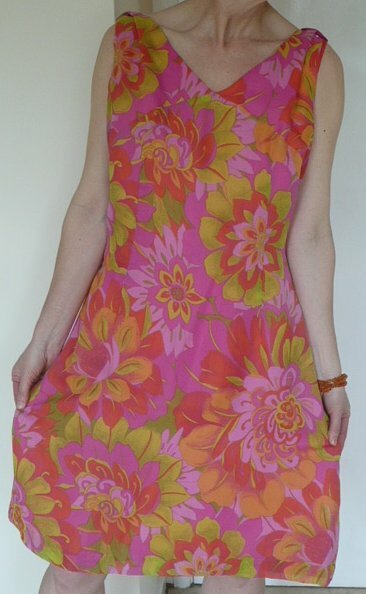 Vintage 1960s pink, yellow floral dress by Montigo Bay. All you need for summer! 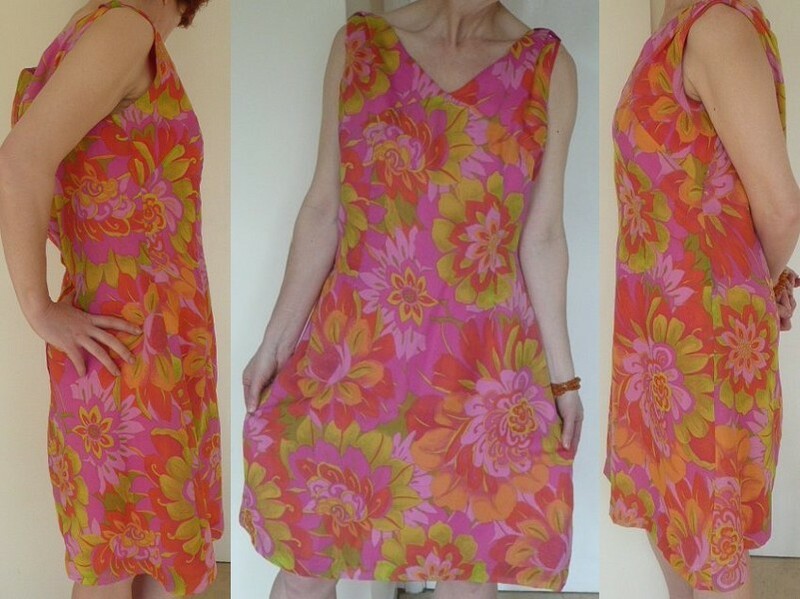 Gloriously vibrant, silky and very wearable vintage dress - unmistakably 1960s! Orange, pinks and purple flowers splash over a fuchsia-coloured ground, a silky lining over a chiffon outer layer, with sleeve detailing and a flirty skirt. The neck has a vee at the front, and is nicely rounded at the back (shown here). 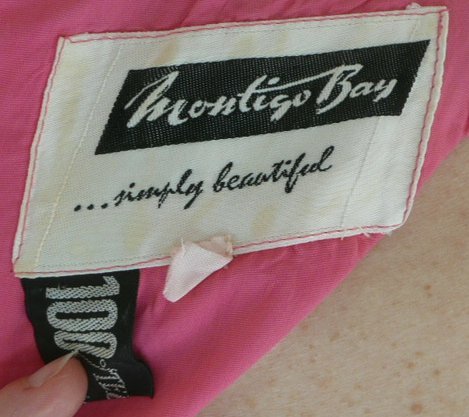 It fastens with a long metal zip, and is, as the label says, 'simply beautiful'! I can only find one fault - that it doesn't fit me! Approximate measurements are: bust 42 ins/106.5 cms, waist 34 ins/37 cms, hips 48 ins/122 cms, length from back of neck 40 ins/102 cms- all taken with the dress laying flat, but do remember it is lined, and these are the garment measurements, not those of the body it will fit!